Drug dealing, arms trade, money laundering and human trafficking, are widely recognised as serious transnational crimes. But did you know that wildlife and forest crime is the 4th largest international crime in the world? It's worth $17 billion a year, and it's growing. But what is wildlife and forest crime? EIA are proud to present a new animated info-graphic film, which details some shocking statistics on wildlife and forest crime, and other environmental abuses. 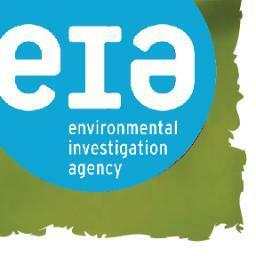 The film also demonstrates how EIA works on the ground, sometimes undercover, and often face-to-face with traders, as well as listing some of our major achievements. Emma Clark, EIA's Visual Communications Officer says "We decided to produce an animated info-graphic film, rather than another campaign-specific film as EIA has produced in the past, because we had so much important information we wanted to communicate. EIA covers several different campaigns, and we wanted to produce something which brings all of our focus species together. By doing that, you really start to get an idea of the huge scale of wildlife and forest crime around the world, and how urgently solutions need to be found." Wildlife and Forest Crime from EIA.